Furniture Maker, Tom Dumke headed to Vero Beach, Florida. Traditional with modern flare furniture on display at Under the Oaks Arts Festival in Vero Beach, Florida. Thomas William Furniture, designer and manufacturer of solid wood, hand crafted furniture, will present heirloom quality furniture at Under the Oaks Art Festival, March 13-15, 2015 located under the majestic live oaks in Riverside Park in Vero Beach next to the Vero Beach Museum of Art. This prestigious fine art show is the largest public event on the Treasure Coast and the voted in the top 10 in the Southeast drawing over 80,000 visitors. The art world acclaims this three-day show among America's finest. Sunshine Artist Magazine rates Under the Oaks in the top 200 nationwide. 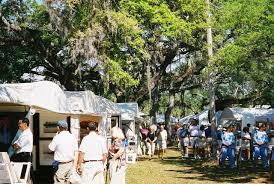 Artists and patrons alike have voted it the “best arts and crafts festival in Florida” by Florida Magazine. Thomas William Furniture is one of the approximately 220 artists invited to participate in the show. “Under the Oaks Art Festival is a quality art show in a very beautiful setting, we are excited to be part of this fine art festival” Tom Dumke stated. Thomas William Furniture offers quality crafted wood furniture. Each piece is carefully hand-crafted furniture from a selection of superior hardwoods and evaluates the wood for grain-pattern, texture, density, balance and color, with the trained eye of a master craftsman and the heart of a true artist. Careful attention to detail ensures a superior product that will grace a home with a simple and lasting beauty. Founded in 1996, Thomas William Furniture mission is to build fine, quality furniture that celebrates the natural beauty of wood with a graceful, modern or traditional design, and is a joy to own. The location of the art fair is at Riverside Park in Vero Beach, Florida. Show hours are Friday, March 13 from 9:00 a.m. until 5:00 p.m.; Saturday, March 14 from 9:00 a.m. until 5:00 p.m.; and Sunday, March 15 from 10:00 a.m. until 4:00 p.m.